I’ve told you about my two little sisters, Katie and Liz, the ones that I absolutely adore. Well last weekend they gave me another reason to just cherish them – they threw me the most dreamy baby shower you ever did see. Is it weird that I’m going to take all their hard work and post it on my own blog? Maybe? Y’know…I don’t care. They did a damn fine job and it deserves to be shown off. Okay, so I did insist they let me make the invitations. Because that’s sort of my thing. My littles came up with the idea of doing a camping themed baby shower. Katie and Liz spent weeks gathering, collecting and shopping for adorable little rustic accents to decorate the space with. 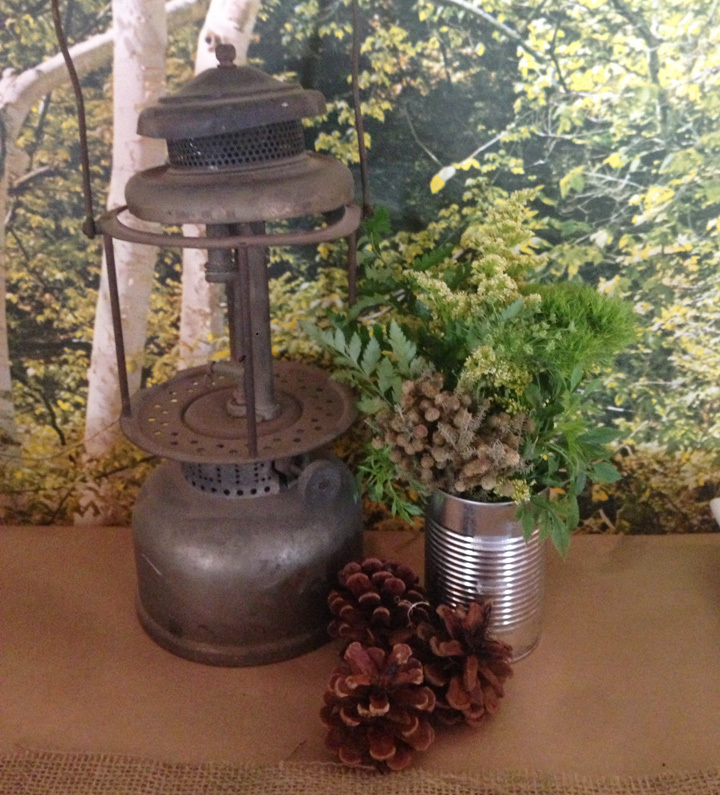 It was all these little details that beautifully brought the theme together. 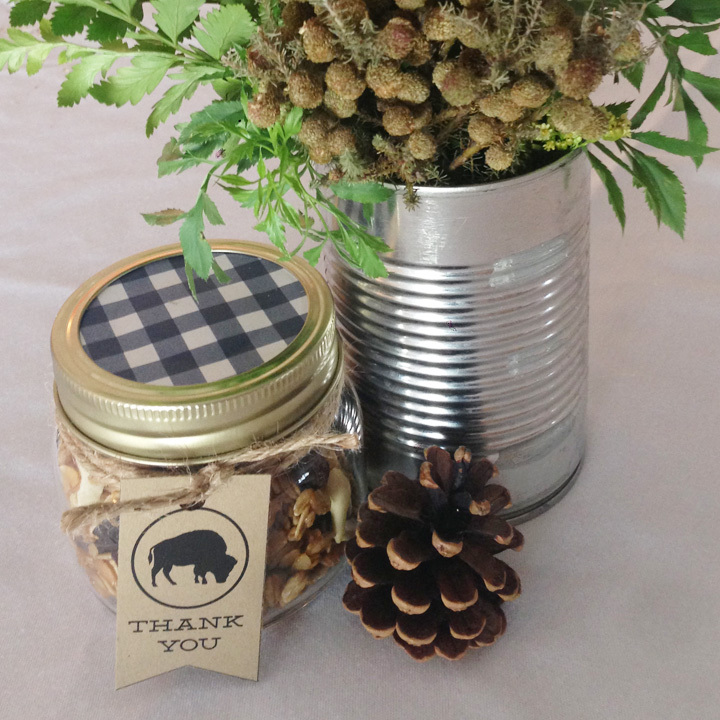 The centerpieces included glass bottles collected from thrift stores filled with woodsy flower arrangements and metal pails from Ikea which held a copies of our ice breaker game. The antique lanterns are my dads because he’s cool like that. The party was held at The Center – a quaint community space located inside the beautiful, historic Christopher’s Herb Shop building on Main Street in Springville Utah. 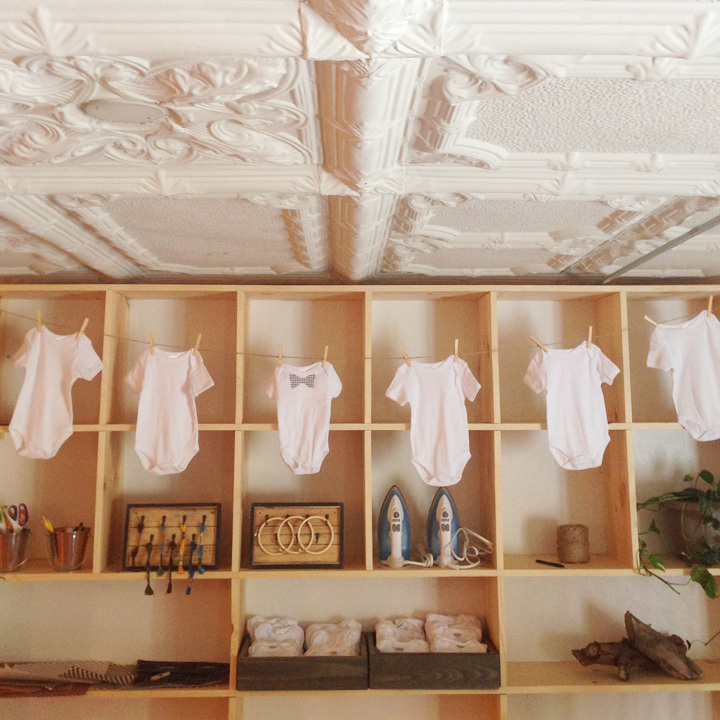 I loved the charming tin ceiling and thought it was the perfect setting for the baby shower. 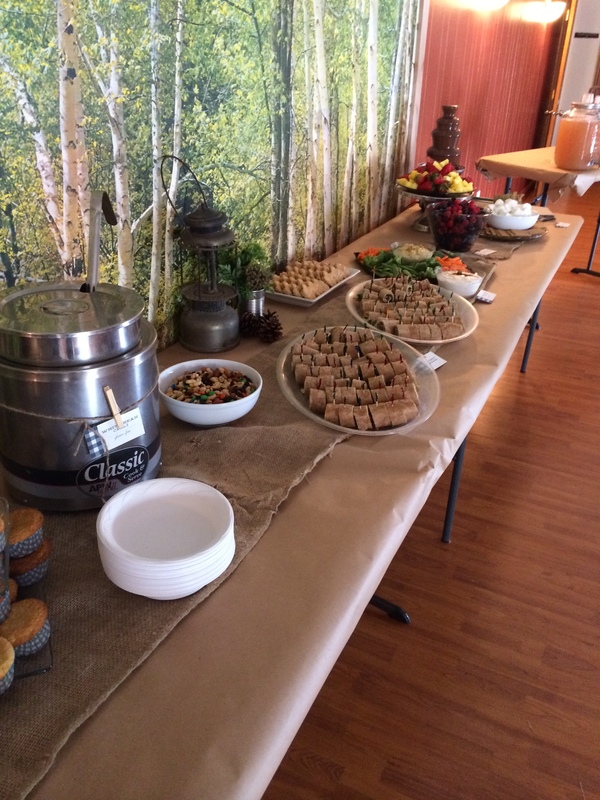 Most of the food was catered by Ginger’s Garden Cafe, which is conveniently located in the same building. Gingers is an absolute gem – an unlikely find in Utah county. Their menu is vegan/vegetarian/gluten-free friendly and with a focus on whole, natural, and local ingredients their food is real and real good for you. Gingers provided a delicious white bean chili, turkey pesto wraps, and a veggie tray accompanied by freshly made basil garlic hummus and their signature ranch dressing. Side note – Their ranch dressing is so delicious I could see myself being in a committed relationship with it. I also requested a giant batch of their freshly made lavender lemonade – my favorite. The food was so great, and with several of our guests having food allergy concerns it was amazing to be able to tell them to go ahead and dig in without fear. 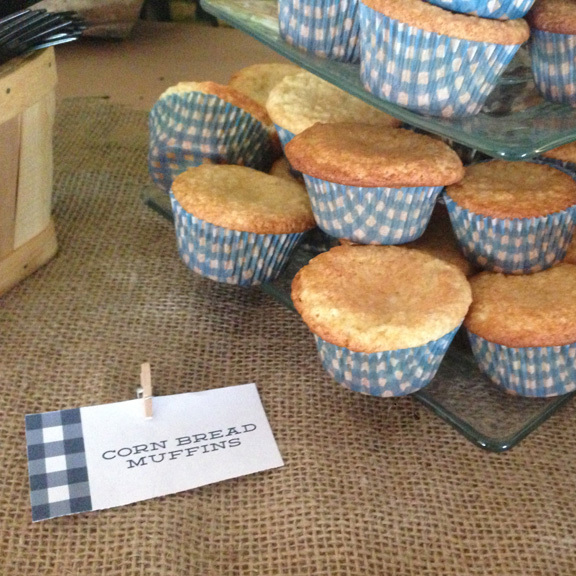 We also served yummy cornbread muffins, trail mix, mixed berries and fruit. 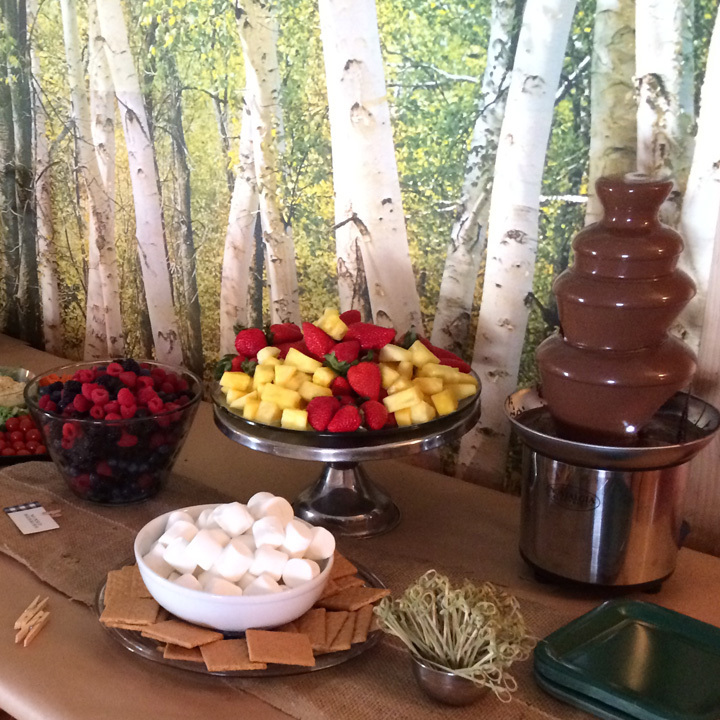 My sisters even found a way to serve s’mores at our camping themed party by way of a handy chocolate fountain. Props to my sisters for coming up with baby shower games that did not involve 1) me revealing my weight, 2)melted chocolate bars in diapers or 3)creepy plastic babies – all those awkward things at baby showers that just make me squirm with embarassment. Instead we did a fun game where you match up animals with their baby animal counterpart. (Did you know a baby monkey is called an infant? I hate that so much.) 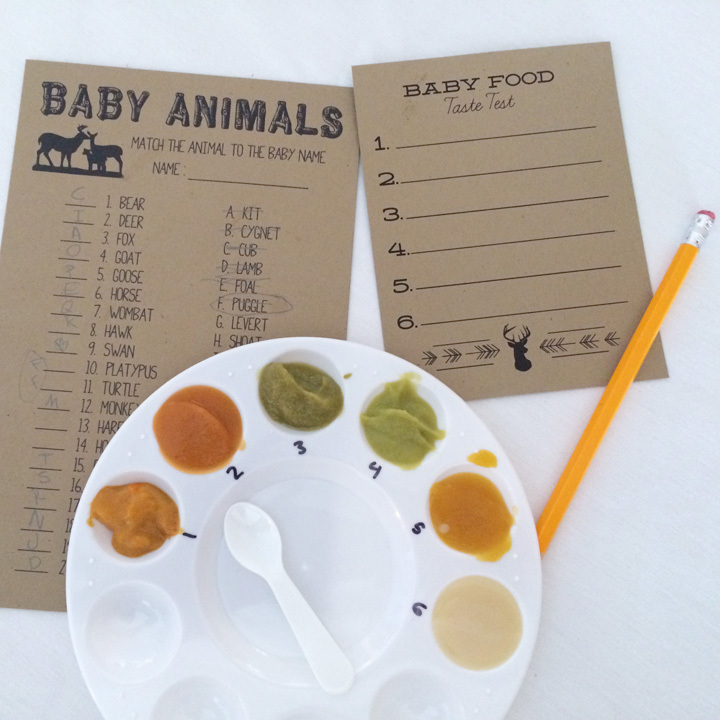 We also did a baby food taste test game where we were given six samples of baby food flavors and had to guess which was which. Liz came up with the genius idea of serving the food samples in these cute disposable artists pallets. The third activity was decorating onesies. We provided our guests with an array of iron fabric and stencils to create appliques as well as embroidery hoops and thread. They came up with the cutest ideas! 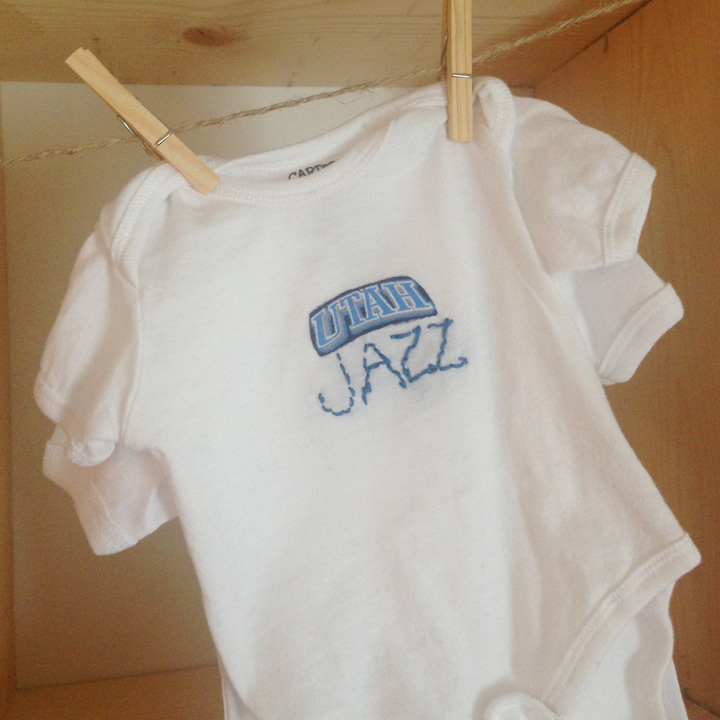 Mike especially loves this Utah Jazz creation lovingly made by his sister. It was great to do this activity last because it allowed people to stay and mingle while they worked, or if they had to get going that was fine too. It also gave me a chance to get to talk with everyone who came which was so nice because I love and miss all those ladies so much. My sisters allowed me to help in one other way – the thank you favors. I filled 8 oz canning jars with homemade granola, and finished them off with a navy gingham lid insert and a little thank you tag. You can purchase a digital download in my Etsy shop to make these favors yourself! 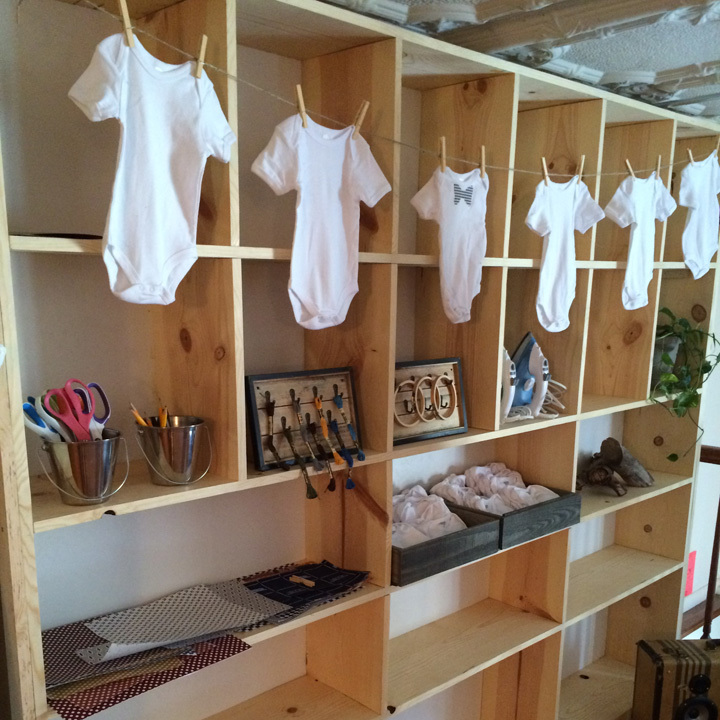 Again, a very huge thanks to my sisters and mom for creating the baby shower of my dreams. It was such a blast sharing this day with so many of my amazing friends and family. 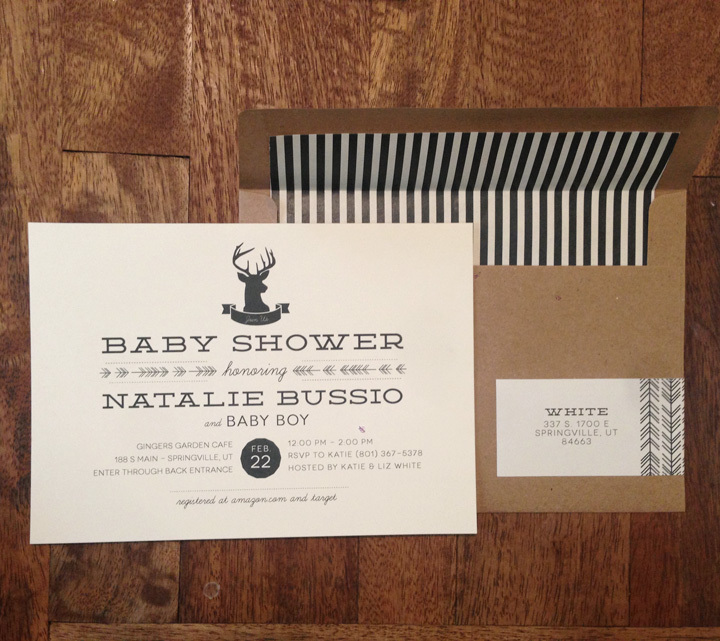 I’ve received several requests for some of the materials I used for the baby shower. I was unable to locate where the baby animal guessing game came from, so I’ve designed a similar one myself. Below you will find links to download PDF files of the baby animal guessing game and answer key, baby food game forms, and the welcome sign. Thanks Brittan, that’s such a nice compliment and I loved browsing your etsy shop! Hi Natalie! I love the shower invites! 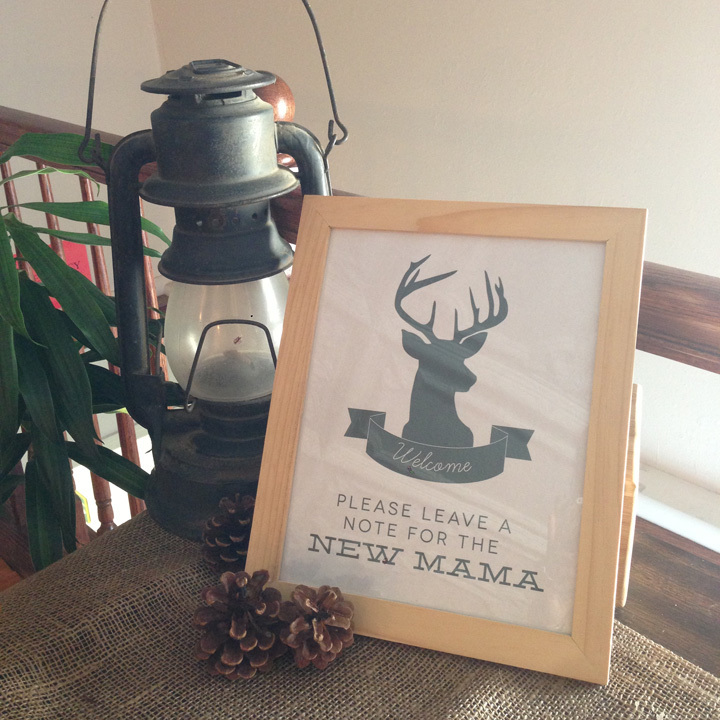 I’m having a boy and am on the hunt for cute, rustic invites! These are it! Do you sell them? Hi Ashley! I could absolutely make these invitations for you. Would you mind sending me an email to natbussio@gmail.com? I’ll write you back to discuss details and pricing. Lyndi you are so kind! Again, all credit goes to my sisters so I will pass your lovely words along to them. So glad you could be there! I only wish I could see you and so fun things like this more often! Hello! I was wondering if you or your sister still have the template for the animal game from your shower. I am having a baby shower in April and would love to use this. Hi Rachel! Y’know all this time I thought my sister designed the game templates but it turns out she found it online. We’re trying to track down the source – I’ll reply again when I find it. Hello I am also interested in this game! Do you know where you got it? I love the decor and the simplicity of your shower. 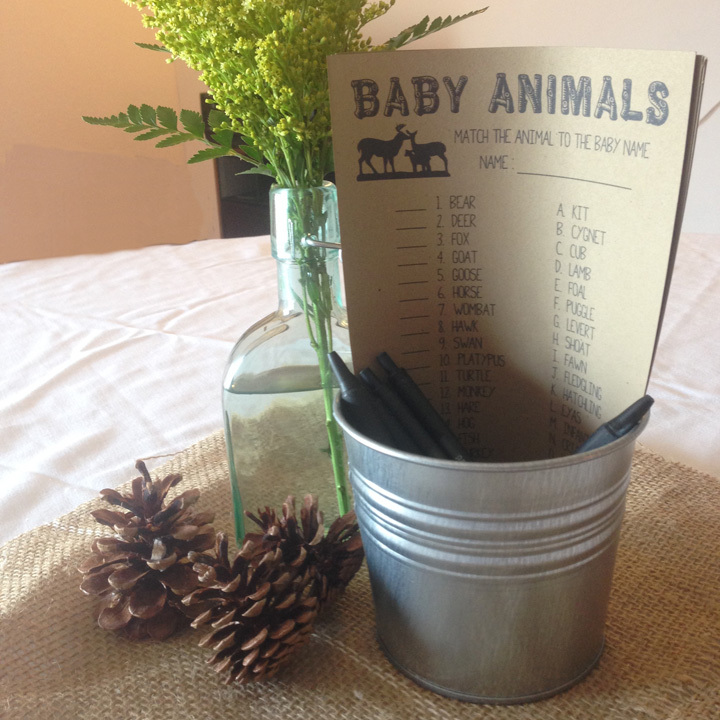 I am also interested in the template for the baby shower games. Thank you. Hi Natalie! Same, cannot track down this version of the baby animals game and all the printable ones online are cheesy! Did you end up creating a template? Thank you! Hi Dana, I did make my own version of the game and THANK YOU for reminding me. I’ve updated the post to include PDF links to the game forms. You’ll find the links at the very end of the post. Yay!! Thank you so much! Love it! 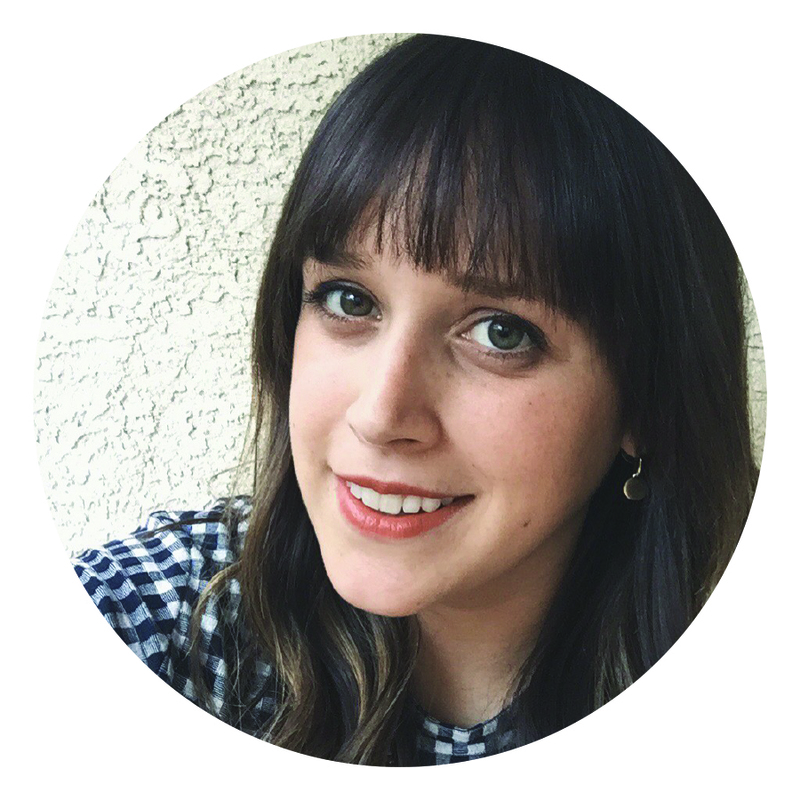 I’m Natalie - I design invitations and other paper goods. I love parties, pugs, food, fashion and my desert home in the west. A very gorgeous mess my son made. Designing for the music industry has always been a dream of mine and this year dreams came true! I was hired to design a logo for a new record label started by music legend Jackie Jackson and his wife Emily. Not. Joking. I designed the brand to reflect Jackie’s Motown roots while illustrating critical esteem and prestige. The business cards with a lush velvet texture and super glossy embossed gold mark further elevate the brand.